On behalf of the Principal Secretary, GTA, Darjeeling, applications are invited from the interested candidates for the 4 (four) nos of posts of Medical Officers under Govt. Cinchona Plantation Hospitals at Mungpoo, Munsong, Rongo and Latpanchor under Darjeeling and Kalimpong District. Interested candidates having qualification of MBBS from any Govt. Medical College/Govt. 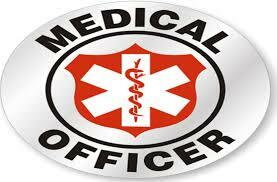 recognised Medical College can apply for the post . The Posts are purely on contractual basis. Retired doctors may also apply. Eligible candidates are requested to send their application and scanned copies of their certificate through email at directorcinchona@gmail.com before 31/10/2018.